BLISSFIELD, Mich. (AP) - A railroad company in southeastern Michigan's Lenawee County says it will keep pushing for financial help in reestablishing a freight line to Toledo, Ohio. The Adrian & Blissfield Rail Road Co. lost out on 2013 grant awards through the federal Transportation Investment Generating Economic Recovery program. Railroad owner Mark Dobronski says it will reapply for the next round and also is pursuing other financing. Officials say the lack of a rail link hampers economic development in the county. Dobronski tells The Daily Telegram of Adrian that it now takes several days to ship freight cars from Blissfield to Toledo, using a 600-mile circuit through Indiana. Five to six miles of track between Riga and Ottawa Lake were torn out three decades ago when the line was out of use. Beginning Tuesday, the subsidy that Amtrak gets from the state of Michigan is about to triple, from $8 million to nearly $25 million a year. The reason for the increase is a 2008 federal law that requires greater cost sharing between the federal government and the states where Amtrak operates. In Lansing this week, a group hopes to lay the course for developing Michigan's railroads. There is a growing demand for passenger and freight rail transportation. But the question is how to increase capacity on the rail lines that crisscross Michigan. Tuesday’s conference at Lansing Community College will try to answer that capacity question. Pasi Lautala is an engineering professor at Michigan Technological University and the director of the MTU Rail Transportation Program. He’s also one of the co-chairs of the conference. 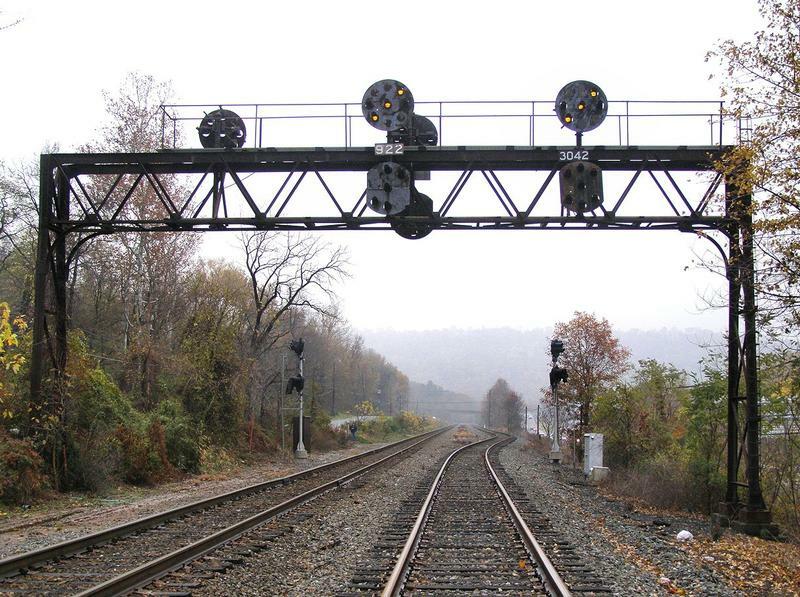 NTSB issues recommendations after railroad accidents in Michigan and illinois. NILES, Mich. (AP) - Federal officials say railroad accidents last year in Michigan and Illinois were caused by workers not following required safety precautions. The National Transportation Safety Board said Friday that both the Feb. 28 accident in Madison, Ill., and the Oct. 21 accident near the southwestern Michigan city of Niles involved signal maintenance operations. It issued recommendations to address the improper use of jumper wires during maintenance and repairs. According to a report by Simon A. Thalmann with the Kalamazoo Gazette, a freight train derailed this morning in Kalamazoo when it encountered a damaged section of track, but Grand Elk Railroad officials say all rail cars remained upright and nothing was spilled as a result of the accident. "It gets cold and the rail gets brittle," a Grand Elk official said of the section of rail that broke. "The circumstances were right." A section of rail about 60 feet long broke, with one rail protruding upward and the other snapped and lying in snow. The train was carrying liquid clay to Graphic Packaging when it derailed at around 10 a.m., according to railroad officials. Photos of the derailment by the Gazette's Fritz Klug can be found here.